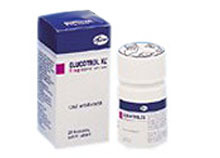 GLIPIZIDE (Glucotrol®) helps to treat type 2 diabetes mellitus. Treatment is combined with diet and exercise. Glipizide increases the amount of insulin in the blood. Glipizide helps your body to use insulin more efficiently. Generic glipizide tablets are available. Take glipizide tablets by mouth. Follow the directions on the prescription label. Swallow the tablets with a drink of water. If you take glipizide once a day, take it 30 minutes before breakfast. Do not take with food. Take your doses at the same time each day; do not take more often than directed. What drug(s) may interact with glipizide? What side effects may I notice from taking glipizide? • hypoglycemia (low blood glucose) which can cause symptoms such as anxiety or nervousness, confusion, difficulty concentrating, hunger, pale skin, nausea, fatigue, perspiration, headache, palpitations, numbness of the mouth, tingling in the fingers, tremors, muscle weakness, blurred vision, cold sensations, uncontrolled yawning, irritability, rapid heartbeat, shallow breathing, and loss of consciousness. • breathing difficulties, severe skin reactions or excessive phlegm, which may indicate that you are having an allergic reaction to the drug. • dark yellow or brown urine, or yellowing of the eyes or skin, indicating that the drug is affecting your liver. • fever, chills, sore throat; which means the drug may be affecting your immune system. • unusual bleeding or bruising; which occurs when the drug is affecting your blood clotting system. What should I watch for while taking glipizide? 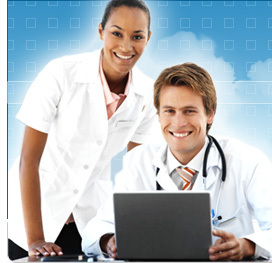 Visit your prescriber or health care professional for regular checks on your progress. Learn how to monitor blood or urine sugar and urine ketones regularly. Check with your prescriber or health care professional if your blood sugar is high, you may need a change of dose of glipizide. Do not skip meals. If you are exercising much more than usual you may need extra snacks to avoid side effects caused by low blood sugar. Alcohol can increase possible side effects of glipizide. Ask your prescriber or health care professional if you should avoid alcohol. If you have mild symptoms of low blood sugar, eat or drink something containing sugar at once and contact your prescriber or health care professional. It is wise to check your blood sugar to confirm that it is low. It is important to recognize your own symptoms of low blood sugar so that you can treat them quickly. Make sure family members know that you can choke if you eat or drink when you have serious symptoms of low blood sugar, such as seizures or unconsciousness. They must get medical help at once. Glipizide can increase the sensitivity of your skin to the sun. Keep out of the sun, or wear protective clothing outdoors and use a sunscreen. Do not use sun lamps or sun tanning beds or booths. If you are going to have surgery, tell your prescriber or health care professional that you are taking glipizide.